On a day that features nine stakes races across Australia, Saturday’s Super Vobis 3-Y-O Hcp (1500m) at Moonee Valley carries no black-type and may get lost in the scheme of things, but it will go a long way in determining the classic aspirations of several of the runners. Not the least of those is the nominal favourite Approach Discreet. The Darren Weir-trained son of Dawn Approach (IRE) is coming off an eight and a half-length romp over 1508 metres at Morphettville on August 25. On that occasion, he looked to be struggling on the turn when his stablemate Reward For Silence set up a commanding lead. That quickly changed in the straight when Approach Discreet needed little more than a hand ride by Mitch Aiken to dominate his rivals. With Aiken’s allowance, he carried just 54.5kgs that day but will be asked to carry 4.5kgs more on Saturday in a considerable stronger race. But he does look a progressive type and the stable has stated the Victoria Derby is the goal this spring. He improved from a career debut third over 1200 metres at Cranbourne on July 26 to a comfortable win over 1300 metres at Sandown three weeks later. 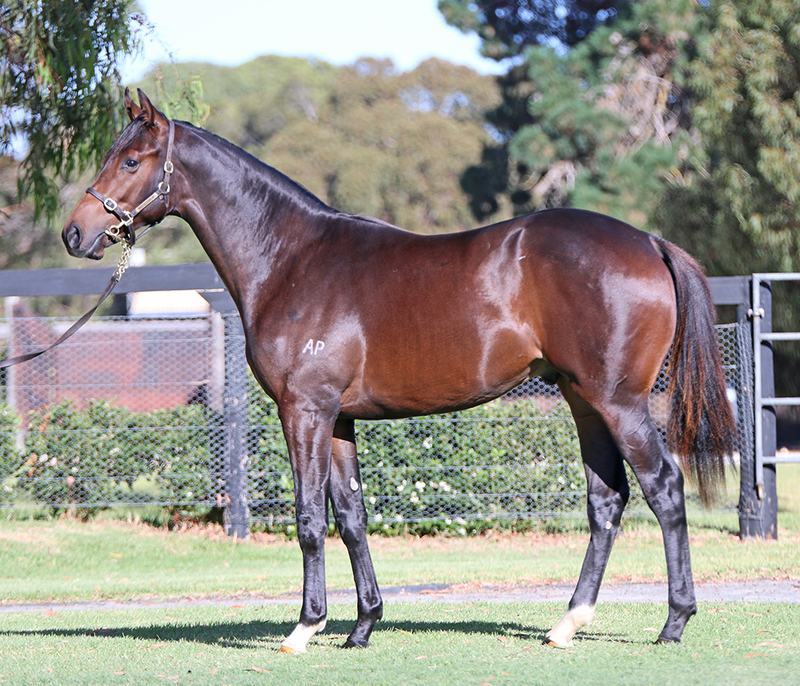 Another from that amazing stakes producing factory at Mill Park, Approach Discreet (pictured as a yearling above) was purchased by D Weir / John Foote Bloodstock for $360,000 at the 2017 Inglis Easter Yearling Sale. A year later at the Magic Millions Gold Coast Yearling Sale, Godolphin outlaid $450,000 for his full brother. That makes them the top two most expensive yearlings by the 4-time Group 1 winner Dawn Approach (IRE) to be sold in Australia. But that is nothing new for Approach Discreet’s 4-time stakes-winning dam Very Discreet whose son Naafer was the most expensive yearling by champion sire Lonhro sold in 2016 when he was knocked down to Shadwell Stud for $560,000 at the Inglis Easter Yearling Sale. 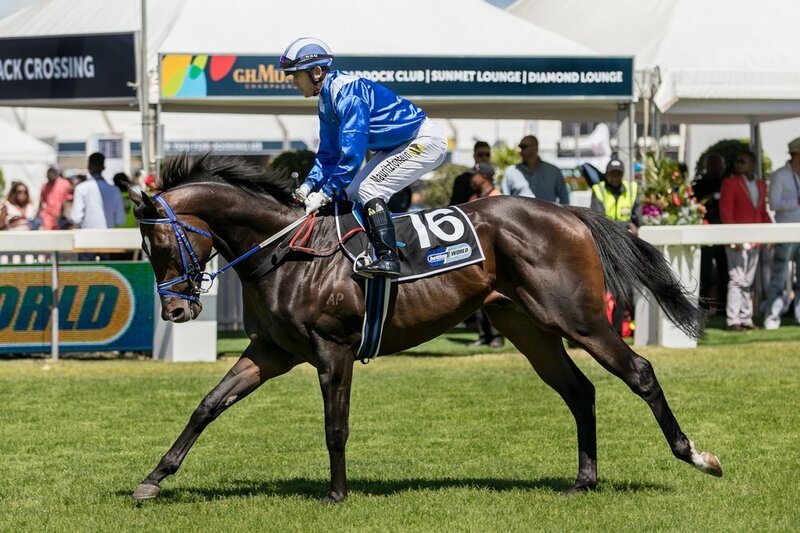 Trained in South Africa by Mike de Kock, Naafer (pictured below) was runner-up in the Group 1 South African Nursery but has not been seen out since finishing runner-up in the Group II Merchants Stakes at Turffontein back in November last year. This is the famed ‘Discreet’ family of South Australian breeder David Peacock. A daughter of Exceed And Excel, Very Discreet was not just a star on the track she is also very well-related. She is a three-quarter sister to Group III Edward Manifold Stakes winner Serenely Discreet and Group III SAJC Spring Stakes winner Just Discreet and a half-sister to Listed winner Forever Discreet (Bernardini) and dual Listed winner and multiple Group placed I’m Discreet (Elusive Quality). David Peacock obviously has an affinity with Darley stallions as he sent Very Discreet to visit Frosted (USA) last spring after she had foaled her first filly, a daughter of Street Boss (USA). Exceed And Excel is starting to make his mark as a broodmare sire. His daughters have produced the outstanding Medaglia d’Oro colt Astern and Sepoy’s top-class daughter Alizee as well as Lonhro’s star filly Bounding who was purchased by Stonestreet Thoroughbreds for $1.9 million at the 2016 Magic Millions National Broodmare sale. Bounding’s dam Believe'n'Succeed is also the dam of the high-class Galileo colt Anthony Van Dyck who recently won the Group II Futurity Stakes at the Curragh and just last week, one of Europe’s highest rated 2yo’s Ten Sovereigns (No Nay Never) won the Group III Tower Stakes at the Curragh. He is out of Exceed And Excel’s daughter Seeking Solace. While much of the hype in Darren Weir’s stable centres around his older horses leading into the spring, the master trainer is bullish about the prospects of one of emerging three-year-olds. Dawn Approach colt Approach Discreet, underlined his talents with a dominant 8.5L win over 1500m at Morphettville on Saturday and will likely rise to Stakes grade in next month’s Listed Morphettville Guineas (1600m). 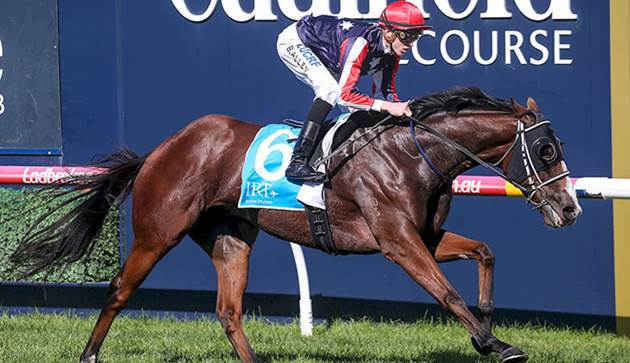 While he also holds an entry for the $2 million Caulfield Guineas (1600m), Weir said his best may come over 10 furlongs and beyond, indicating the Group 1 Victoria Derby (2500m) could be his ultimate goal this spring. “The opposition wasn’t great (on Saturday) but he is definitely a nice colt going forward,” Weir said. “He is owned by Peter Law who buys a lot of horses with us and a lot of them go to Hong Kong he might be one that heads there but hopefully he can at least hang around for the spring. Purchased from the draft of Mill Park Stud at the Inglis Easter Yearling Sale for $360,000 by outstanding judge John Foote and trainer Darren Weir, Approach Discreet is out of the stakes-winning Exceed And Excel mare Very Discreet, from the prolific black-type producing family of Halo Again which also includes Gr3 SAJC Dermody Stakes winners She's Discreet & Be Discreet, Morphettville Guineas winner Forever Discreet, and Gr3 Bloodhorse Breeders' Stakes winner Gilded Angel. TRSA has announced another fantastic incentive for owners and trainers to further the excitement of Spring Racing in South Australia. Six individual race Series have been created, each named after iconic South Australian horses such as the outstanding mare Viddora, who has accumulated more than $2 million in prizemoney to date, and warhorse Riziz, whose strike rate was to be envied, to be held in September, October and November 2018. Heats will be run at Metropolitan, Provincial and Country race meetings throughout South Australia, with a Final for each Series to be held at Morphettville during the Spring Carnival. Happy Trails, sold for $11,000 at the Magic Millions Adelaide Yearling Sale and returned $3.2m in prizemoney highlighted by three Group 1 wins. A sixth Series, the $100,000 Alcopop Series, will be held throughout November and December with the Final (a BM 75) over 1600 metres to be run on Boxing Day at Morphettville. With a variety of distances, these Series are seen as a great initiative by TRSA to showcase South Australian Racing while coinciding with the excitement of the Melbourne Spring Carnival. Details of all the heats will be published in The Races Magazine and TRSA website www.theracessa.com.au. Gai Waterhouse and Adrian Bott will no doubt being thinking 'classic season' for exciting Sebring colt Sydney Blue who made up for an unlucky debut fifth when blocked for a run at Newcastle two weeks ago to charge home and win the 1400 metre juvenile maiden at Kembla on Saturday. A touch slow to begin, he quickly mustered speed to improve to midfield and when angled to the outside at the top of the straight unwound a long sustained finishing burst to win by a length. It was a performance that had budding stayer written all over it, as it should given he is a half-brother to Group 1 MRC Caulfield Cup winner Fawkner, a winner of over $3.8 million in prizemoney. 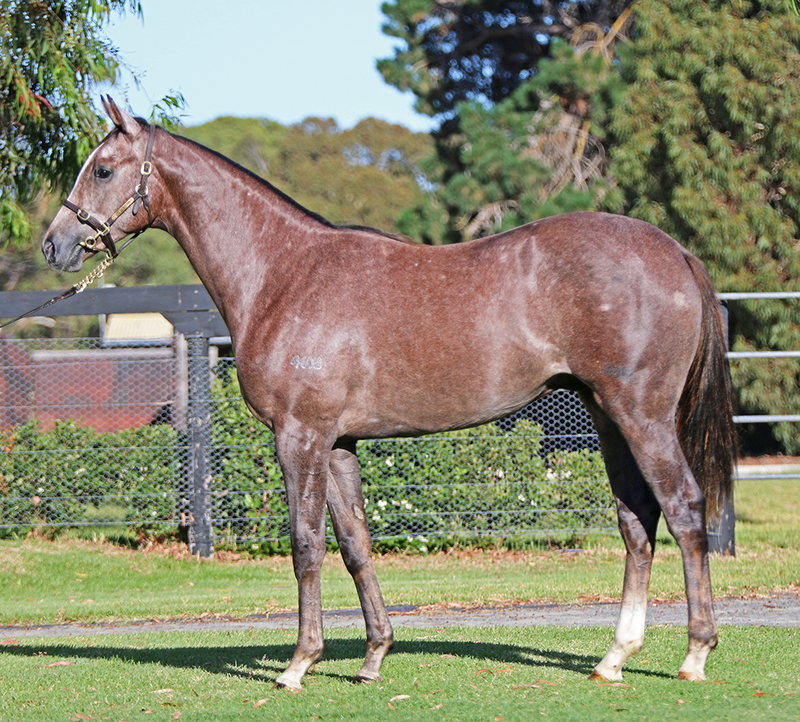 A $420,000 Inglis Easter purchase for his trainers from the Mill Park draft, Sydney Blue (pictured below as a yearling) runs for a big syndicate of stable clients and is the seventh winner from seven to race from stakes-winner Dane Belltar, whose other offspring also include $1.1 million earning Group 2 winner Tanby and Group 2 placed Viking Star. Snogging might provide her stallion I Am Invincible with a new accolade following a comfortable win against fellow three-year-old fillies at Caulfield on Saturday. I Am Invincible is one of Australia's super stallions with 31 individual winners, but only two - I Am A Star (Myer Classic, Sunline Stakes, Stocks Stakes) and Look To The Stars (Princess Stakes in Queensland) - have won stakes races at 1600 metres. Snogging might be the first to earn black type at 2000 metres after impressing both her trainer Trent Busuttin and rider Damien Oliver with her dominant performance. Busuttin said the filly, who was coming off a disappointing run in Adelaide, had always shown stakes ability as well as showing she could cope with a middle distance trip also. "She's bred to run 1200 metres but she was never going to be that sharp," Busuttin said. "She handled the mile here easily today and I think she could get 2000 metres as she settled pretty well there and finished it off well." Oliver sat back near the tail of the field before getting off the fence before the corner and then unleashing the filly down the outside. On the line, the $4 chance had two lengths over I'm Buxom ($9) with three quarters of a length to Princess Mia ($8.50) in third place. Oliver said he was taken with the filly's ability to quicken. "She's shown stakes class potential – but she's not quite there yet – but I am sure there's a little stakes race in her." Busuttin said he would look at running Snogging in the 1600-metre Adelaide Guineas in two weeks before setting his sights on Brisbane where she could run in the 1600-metre Queensland Guineas or take the step to 2000 metres in the Group 3 Doomben Roses on May 12. Snogging was a $260,000 yearling purchase from the draft of Mill Park Stud at the 2016 Inglis Premier Yearling Sale. Anybody who owns a broodmare knows how hard it is to get one that leaves a stakes-winner, let alone four of them!. The $100,000 Listed Oakbank Stakes on Easter Saturday was won by spritely eight year-old Heart of a Lion, who is prepared at Morphettville by Lloyd Kennewell. 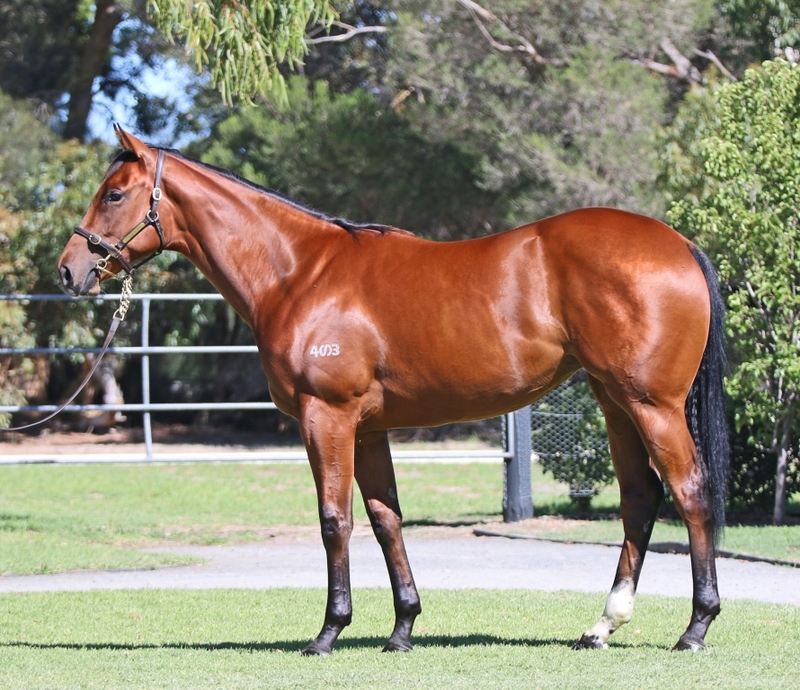 A $42,000 Magic Millions Adelaide purchase for his trainer from the Mill Park draft, Heart Of A Lion has been a good tough consistent sprinter for the stable since he won on debut at Balaklava back in November 2012. Stakes placed twice earlier in his career, the son of former Coolmore shuttler Lion Heart (USA) dashed clear to win the 1100 metre Oakbank Stakes by a length and a quarter taking his overall record to 11 wins and 12 placings from 35 starts with prizemoney in excess of $400,000. Bred by Brenton and Liz Parker and raised at Mill Park, Heart of a Lion is from outstanding producer Madame Flurry, who has had seven foals to race for six winners. Her stellar list of offspring is headed by triple Group I winner and $3.2 million earner Happy Trails (Good Journey (USA), Group III winner Danish Twist (Dane Shadow), who was third in the Group I ATC Coolmore Classic last year and has won nearly $900,000 in prizemoney, this season’s stakes-winning three year-old All Too Huiying (All Too Hard)and now a fourth stakes-winner in Heart of a Lion. A minor winner by Perugino (USA), Madame Flurry is a half-sister to stakes-winner Lake Villa and stakes-placed Flurry’s Autumn, who has also proven a stakes producer leaving Group III winner Royal Sash, the dam of Group winners Sabatini and Vivi Veloce. This remarkable mare turns 18 this year and still has some unraced stock to come. Her Sebring yearling filly was sold at Inglis Premier earlier this year by Mill Park for $210,000 to Kennewell Racing and she has a weanling filly by Shooting to Win. Madame Flurry was covered again last spring by All too Huiying’s sire All Too Hard. Young Flemington trainer Levi Kavanagh struck on day one of his his former hometown Adelaide sale for a Eurozone (Northern Meteor) colt who is closely related to seven-time stakes winner, Catapulted (Catbird). Consigned by Mill Park Stud as Lot 31, the colt is the second foal out of the winning mare Fast And Loose (Fastnet Rock), who is a half-sister to Catapulted, who was trained by Kavanagh’s father Mark. He also trained Fast And Loose, who won a Ballarat maiden from seven starts and was fourth in the Queen Adelaide Stakes (Listed, 1050m) as a juvenile at her second start. Fast And Loose’s first foal, a filly by I Am Invincible, was bought by Malua Bloodstock, Spicer Thoroughbreds and Noorilim Park for $150,000 at the 2017 Inglis Premier Yearling Sale. Levi Kavanagh told ANZ Bloodstock News the Eurozone colt looked a lot like Catapulted, who remains on the family farm near Melbourne in retirement. “He looks very similar to Catapulted type wise and he is still out at our farm. He was a great racehorse and nearly got to $1,000,000 (in prize money) and he is part of the family down there and this horse likes like he might be able to run early,” Kavanagh said. Kavanagh said the colt’s Newgate Farm-based stallion Eurozone, whose first crop two-year-olds include stakes winner Krone, was starting to make his mark and was not surprised the yearling made six figures. “The sire is starting to do some good things, so it is a breed we are happy with,” he said. “My father also trained his mum Fast And Loose who ran fourth in a Listed race, but she didn’t race for that long.